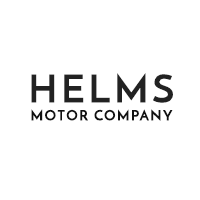 Auto Financing in Lexington | Helms Motor Co. Interested in leasing a Chrysler, Dodge, RAM, or Jeep near Savannah or Jackson, Tennessee? Let the finance team at Helms Motor Co. simplify the process of getting a car lease or loan in Lexington. With years of experience and a network of lenders, the staff at our Chrysler, Dodge, Jeep, RAM dealership will get you an auto loan you can afford. Start the application process from the comfort of your home by completing our secure and encrypted online finance application form. We will contact you with additional information about your car loan in Lexington as soon as we have reviewed your application. While you are waiting for your finance application to get approved, please browse our Lexington dealership’s new Chrysler, Dodge, RAM and Jeep inventory, as well as our used car inventory. With a variety of vehicles and a knowledgeable sales team, we are confident that we will find the car that is right for you.